Watch as professional groom Shannon O’Hatnick shows how to apply two common horse bandages: the polo wrap and the standing bandage. Shannon O’Hatnick demonstrates the proper technique for wrapping two frequently used horse bandages: the polo wrap and the standing bandage. She also discusses the proper materials for each, as well as when and why to use each type for a horse who is in active exercise, rehabilitating from an injury, or shipping. A misapplied leg wrap or bandage can injure your horse, so mastering these techniques is very important. 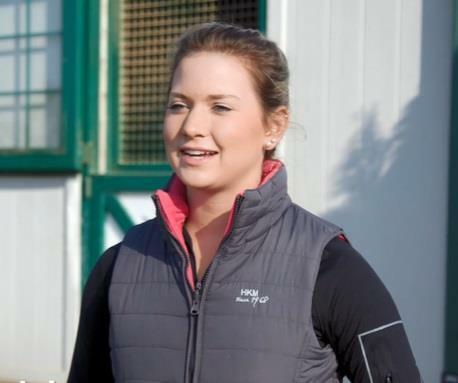 Shannon O’Hatnick is a professional groom for three-day eventer Allie Knowles and the owner of Radiant Clips in Lexington, Kentucky. To learn more about her, please visit her on Facebook and Instagram.